An ADCO design exclusive. 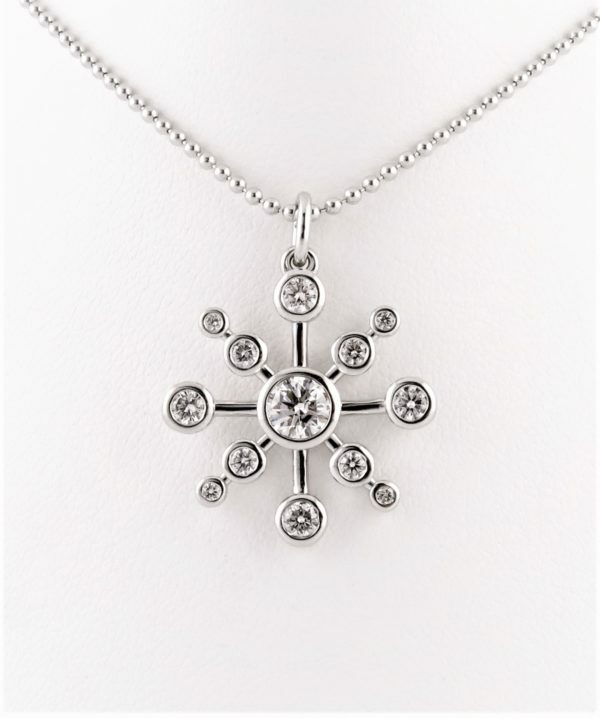 14kt white gold star pendant with 13 round brilliant cut diamonds, total weight .68 carats, color F/G, clarity VS.
Can be ordered in 14 or 18kt yellow, white or rose gold, or platinum. Please contact us for prices.